Agastache, Coreopsis, Echinacea, Phlox and Catnip. The strongest bloom time is midsummer to autumn. 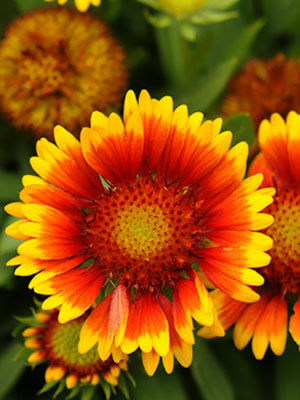 Gaillardias team up well with black-eyed susans and other bright flowers. Colours include red, yellow, and many bicolours.